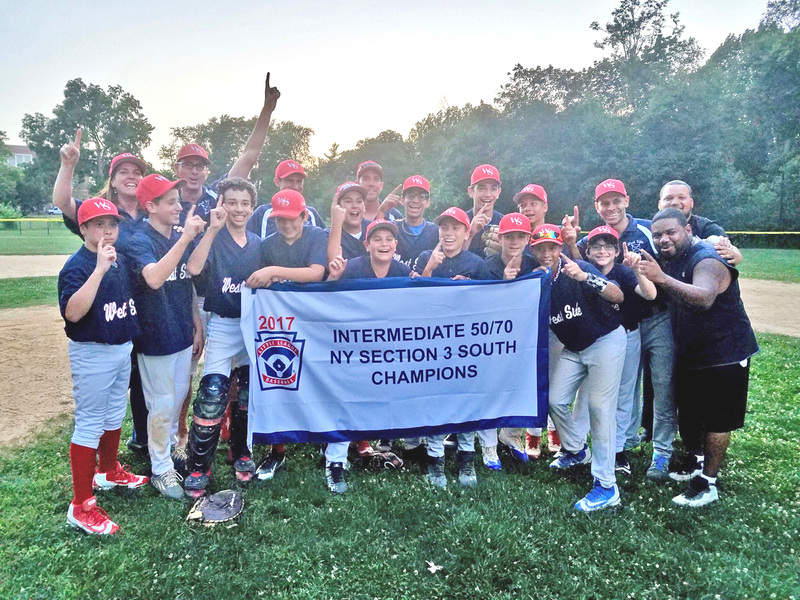 West Side Little League - WSLL 13u Hawks - NYC 2017 50/70 Sectional Champions! West Side Little League - The THUNDER - NYC 2017 Majors Girls Champions! 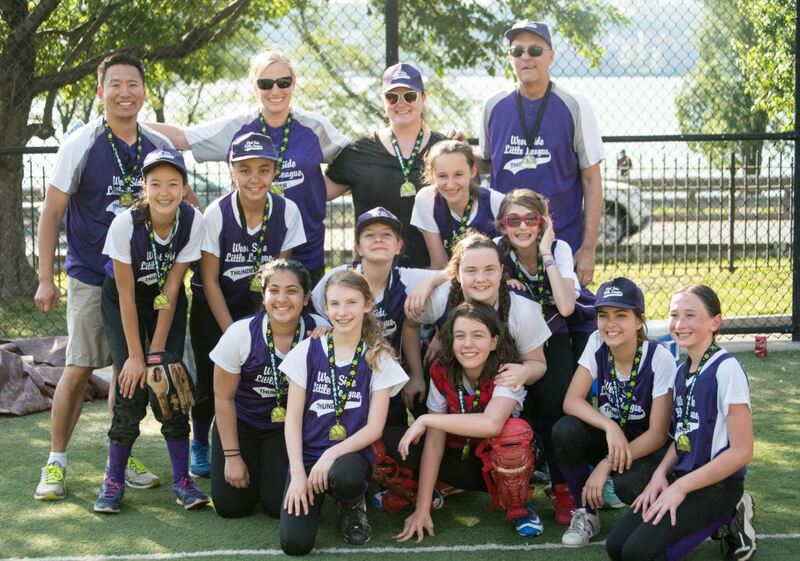 West Side Little League - Senior Girls Softball team - The Storm - won the 2014 Fall Championship! 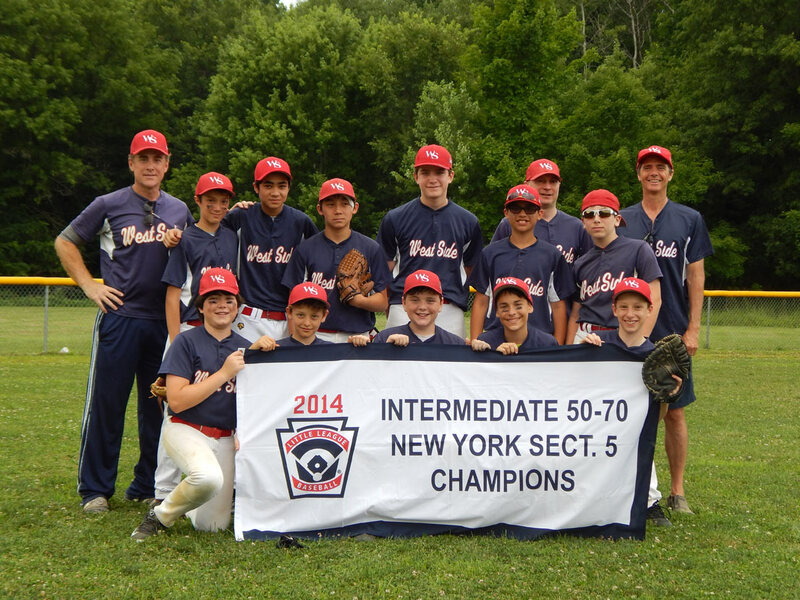 West Side's 50/70 Team - 2014 NY Section 5 Champions! 11 Hawks - 2012 District 23 Champions! 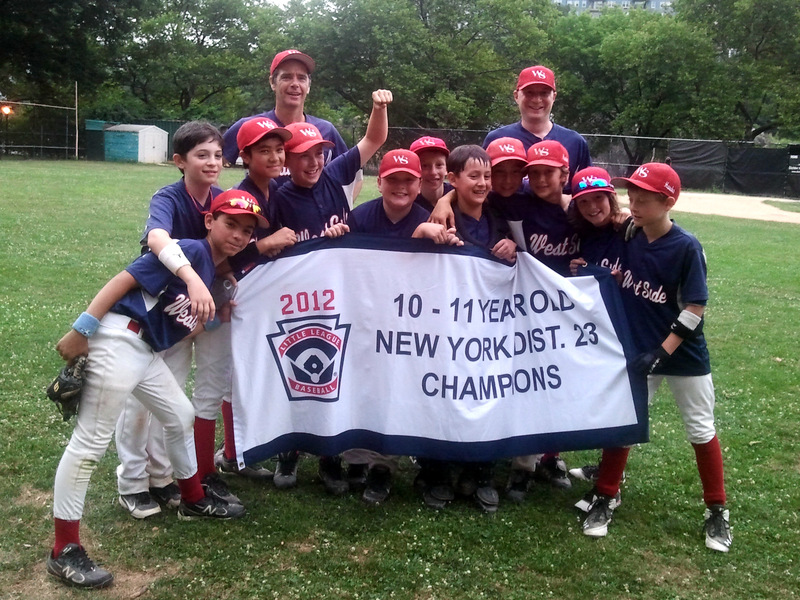 10U Hawks - 2011 Astor Tournament Champions! 9-10's "White Hawks" Team - 2011 Astor Tournament Champions! Team Trophy on display at Giacamo's Gourmet Deli. 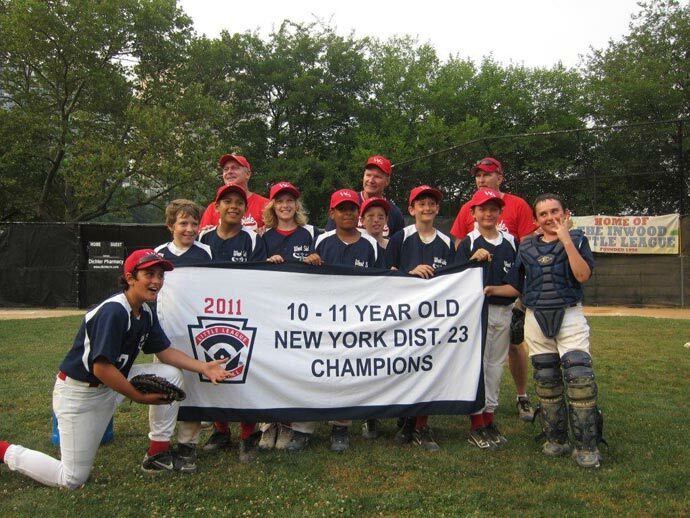 11's - 2011 District 23 Champions! 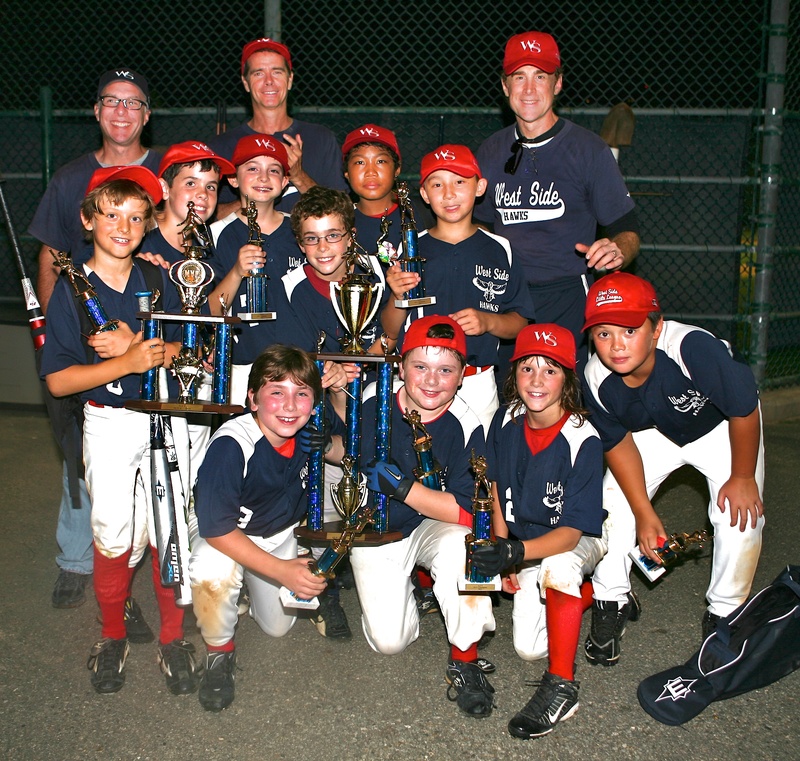 11-12s Tournament Team - 2011 District 23 Champions! There are many opportunities to volunteer for the League. Each family is required to participate. Some activities like coaching or serving as a team parent, are regular commitments. Some only require occasional service. Please remember that the West Side Little League is a volunteer organization. You must contribute your skills for the League to be successful. If you have a unique idea, please contact your Division Head or the League President. Use the link below to download a copy of the volunteer application form. 1. Coach and Assistant Coach: One (of each) per team. Please Indicate Interest on Registration form. NEW THIS YEAR: All WSLL Coaches and Assistant Coaches must take the free On-Line Concussion Course offered by the Center for Disease Control at http://www.cdc.gov/headsup/youthsports/coach.html. Once completed you must send a copy of your Certificate to the League Registrar. You must complete this online class and submit the Certificate to be considered for a position. You must bring the Concussion Action Plan (PDF-284kb) to all practices and games. 4. Equipment Packing --Please contact the League Registrar if interested. 5. Sponsors--If you know of someone who would like to Sponsor a team or would like to help recruit sponsors please contact the League Sponsorship Coordinator. Companies, Families and Individuals can sponsor a West Side Little League team for $800 and get their name and/or logo on the back of that team's jerseys. Sponsors can request a specific team or division and will receive a jersey and a commemorative plaque with their team's photo. Sponsorships are critical to the League's ability to offer scholarships and cover the costs of running the League. Please Sponsor a team. If you have any questions please contact the League Sponsorship Coordinator.